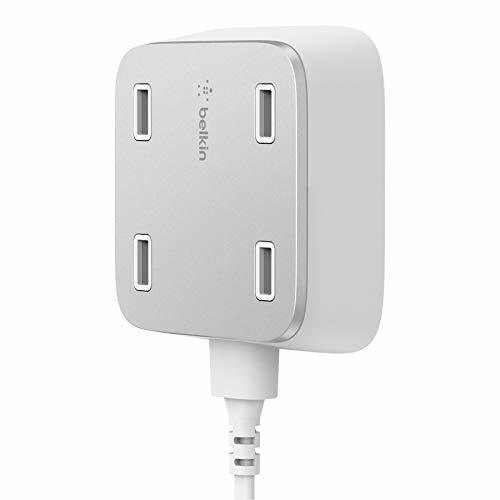 Featuring four USB ports and a 10-foot-long cable, the Belkin Family RockStar lets busy family members simultaneously charge their tablets and smartphones. The Family RockStar offers a total output of 5.4 amps and automatically provides optimal charging speeds for each device. It can be mounted to the wall for streamlined placement and easy access.